Rig and service base, originally uploaded by ccgd. Three rigs - and the Hutton TLP - now stacked in the Firth. 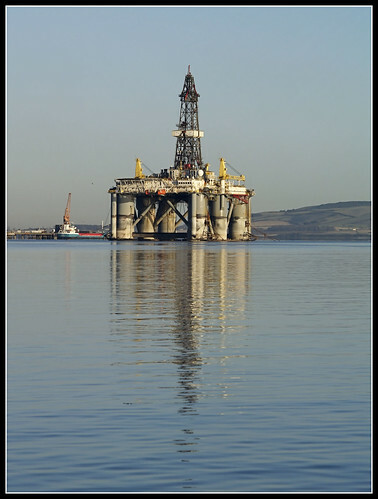 With the oil price now at rock bottom, its not too fancifull to expect the Firth to fill up with semi-subs and jack-ups over the next wee while. The mystery of why the Hutton Hull has been left in the Firth seems to have been solved. 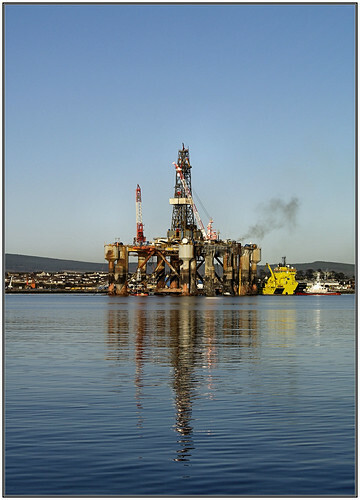 The Spanish yard at Cadiz, where she was to be converted to a drilling rig for the Gulf, has "financial difficulties". 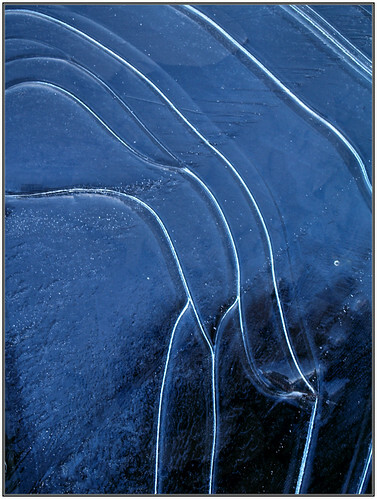 Ice in blue, originally uploaded by ccgd. Church Street, Cromarty, Saturday the 24th. After the rain, originally uploaded by ccgd. 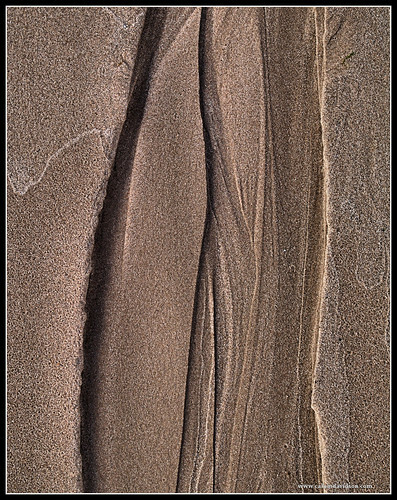 Water patterns on Cromarty Beach. square wheels rider, originally uploaded by ccgd. 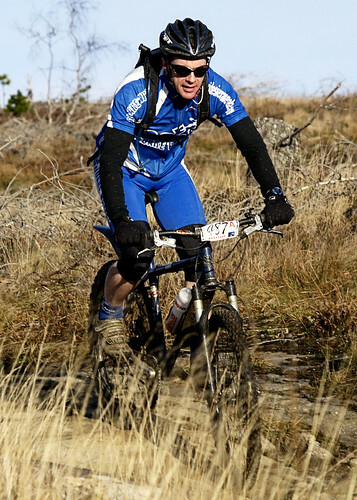 One of Steve and Clany's riders at the very top of the course, at the weekends Strathpuffer. Saturday was glorious, until about 4:00pm. I finished my marshalling shift at 3:00. Then the wind rain and snow started. I was back home in front of the fire by then. Strathpuffer sunset, originally uploaded by ccgd. Its the middle of the night! Its the middle of the night!, originally uploaded by ccgd. 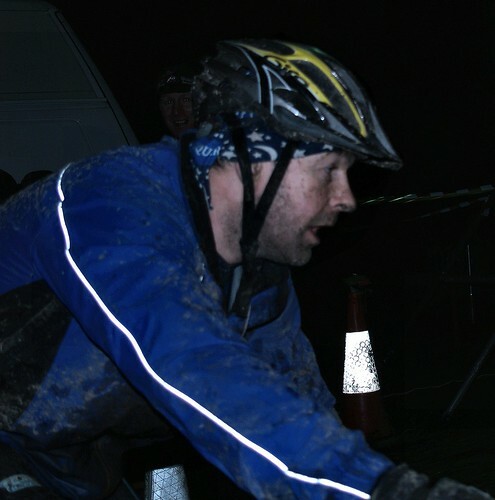 I'm just off to marshal at this years Strathpuffer. 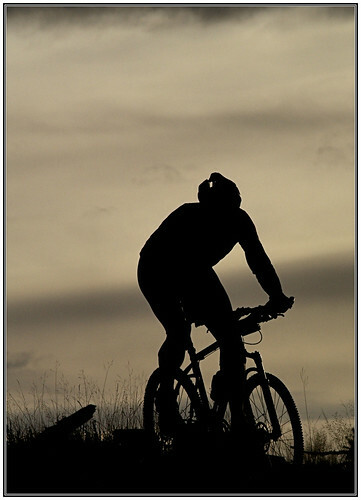 24 hours of endurance, extreme Mountain Biking. In the Highlands. With an extreme weather warning. shadows, originally uploaded by ccgd. In the depths of a Scottish Winter, not withstanding the brightness of the festive period, hot direct sun does seem attractive. Grave robber, originally uploaded by ccgd. The East Kirk is now completely swaddled in Scaffolding and Plastic, as the project team get to grips with the upper walls and roof. 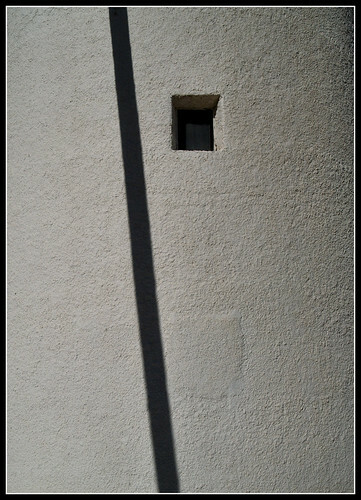 This shot - from the last of the autumn sun hitting the walls of the Kirk - just brings a smile to my face. Blues reflected, originally uploaded by ccgd. Another from that quiet period just after New Year. 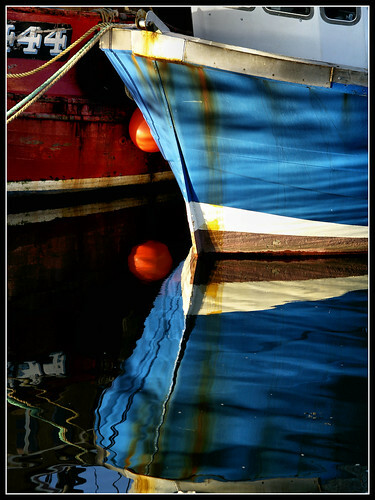 The Harbour was still, and the sun provided this striking reflection in Cromarty Harbour. 1783, originally uploaded by ccgd. 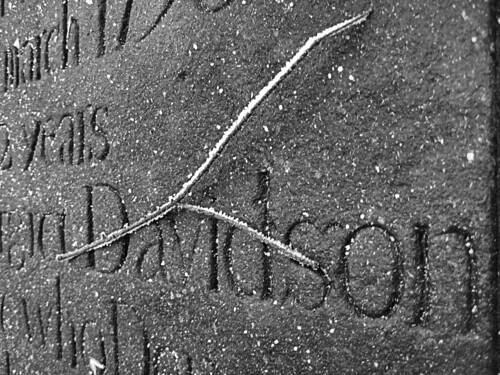 A gravestone in the Cromarty East Church (I know its closed at present, but I was asked to go in and take some photos of the ongoing work) - The photo is heavily post processed, but I like the effect. Well the big freeze seems to be over, the wind is rising outside, and we seem to be back to gales and milder weather. 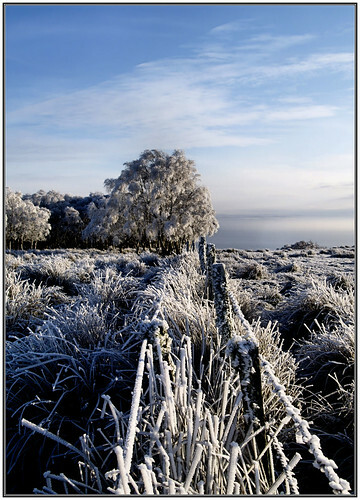 A bit of a pity, as the Black Isle is a somewhat special place when the sun is out after a hard frost and harr. Morning sun colour, originally uploaded by ccgd. 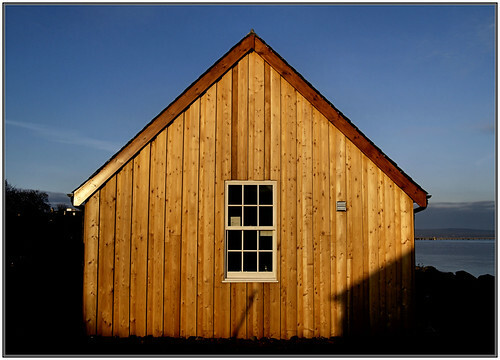 The new kitchen extension to the old Salmon Bothy in the first rays of the midwinter sun. 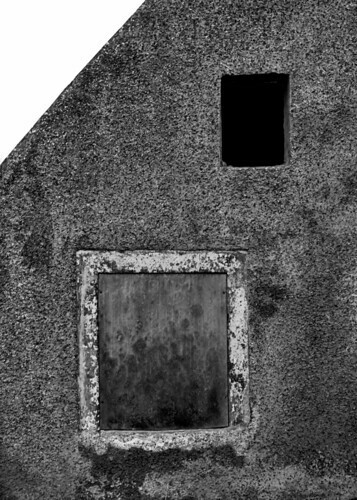 Now a holiday home, I quite like the policy of extensions to buildings in Cromarty being in wood, to differentiate from the stone and harl. It works well with this building, in my humble opinion. classic reflected rig shot, originally uploaded by ccgd. Lots of rig movements, and what looks like a rig being stacked, further down the Firth. 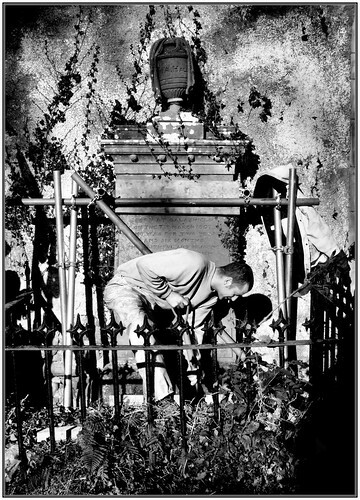 A grave situation, originally uploaded by ccgd. 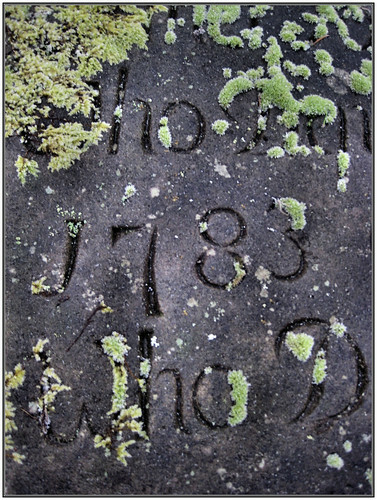 No relation but this frosted gravestone did catch my eye. shore street b&W, originally uploaded by ccgd. When I first visited Cromarty 30 years ago - a student job surveying the farms in Easter Ross and the Black Isle (and its amazing to think that though I'd been brought up in Inverness, I'd never been to the town, I knew it as a location on a NTS poster that hung on the wall in our Bathroom in Kingsmills Gardens) most of the east end of the town was almost derelict. Though the place was booming, with Nigg, and the Beatrice Terminal which was under construction, Fishertown and most of Church Street looked a bit sorry for itself. When we moved here six years later, it was not much better. Now only one property in Fishertown lies un-restored and unkempt. Quite a change, quite a change indeed. Trees and fences, originally uploaded by ccgd. 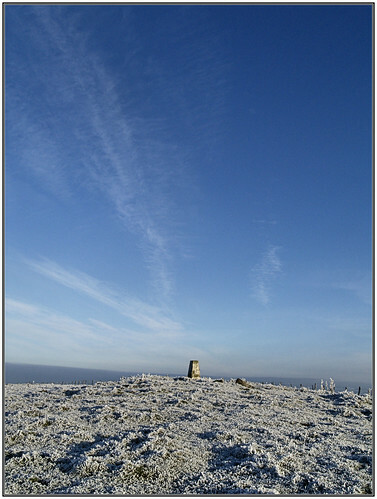 Gallows hill, originally uploaded by ccgd. Hutton TLP, originally uploaded by ccgd. She lost a tow chain north of Shetland, and the tugs lost a lot of time and fuel, so they seem to have diverted to the Firth to Bunker. The TLP will not be entering the firth though, she is staying out side whilst the tugs will take it in turns to fuel. 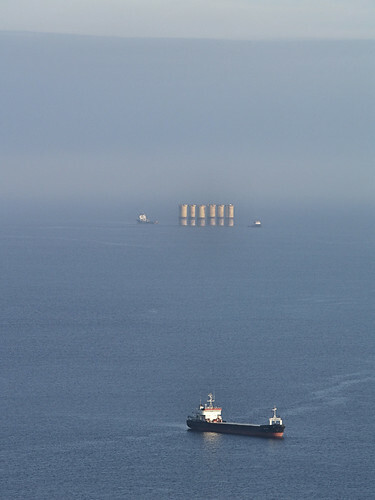 The ship in the Foreground is the Rumanian vessel, Shecksna, at anchor. Taken yesterday afternoon from the summit of the South Sutor.